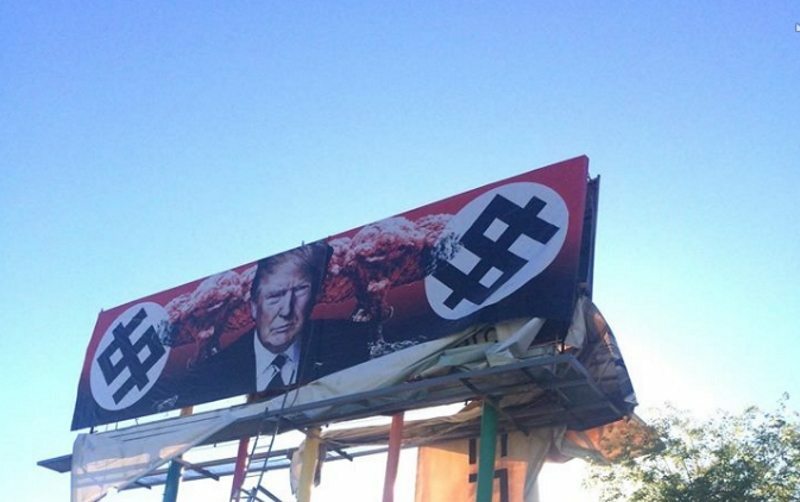 The hate against President Trump continues when a Santa Monica-based liberal activist, Karen Fiorito designed an anti-Trump billboard, which has President Trump in between two nuclear explosions and dollar signs imitating swastikas used by the Nazi Party. 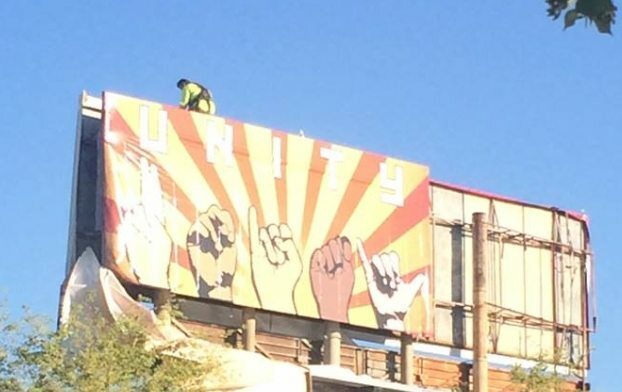 The back of the billboard shows five fists forming sign language letters with the word “unity” beneath the fists and the billboard is near Grand Avenue and Taylor Street in Phoenix. Fiorito stated that she plans to keep the piece up for at least a year, if not through the end of Trump’s presidency. The liberal Fiorito is proud of her work as the liberals continue to divide the nation and as she stated on her Facebook page, “I guess we are going to have to make bumper stickers of my billboard…. so many requests! Wish I had time to drive to Phoenix to see the reactions of people on the street! One can only imagine if “such hate” was presented by Conservatives on a consistent basis during the Obama years with such billboards and looking for anyway to remove Obama from office.